Mike believes that, at its core, estate planning is about managing family relationships effectively. The better a lawyer can know and understand the family dynamics at play, the better the estate plan will become. It is therefore crucial that clients find an attorney with whom they feel comfortable sharing their goals and their concerns, and with whom they can form a lasting relationship. Mike joins Kennon Craver after practicing estate planning/administration and small business law with several firms in the Triangle and Washington, D.C. areas. A Chapel Hill native, Mike graduated from Durham Academy, where his mom was a teacher, and later attended the University of Virginia, graduating with a Bachelor of Arts in History and Foreign Affairs. Mike then got his law degree–and met his future wife–at the William and Mary School of Law. He sat for the North Carolina Bar, and was later admitted to the Bar of the District of Columbia, where he moved after law school. While in DC, Mike worked for a virtual law firm, practicing primarily in the areas of estate planning, small business counsel, and intellectual property. The firm grew quickly and provided Mike with solid experience in a variety of practice areas, but he found that he missed the face-to-face client contact that makes estate planning and small business law so rewarding. He chose to return to his home base in Chapel Hill to start a family, spend more time with his parents, and work with a more traditional, brick-and-mortar firm. 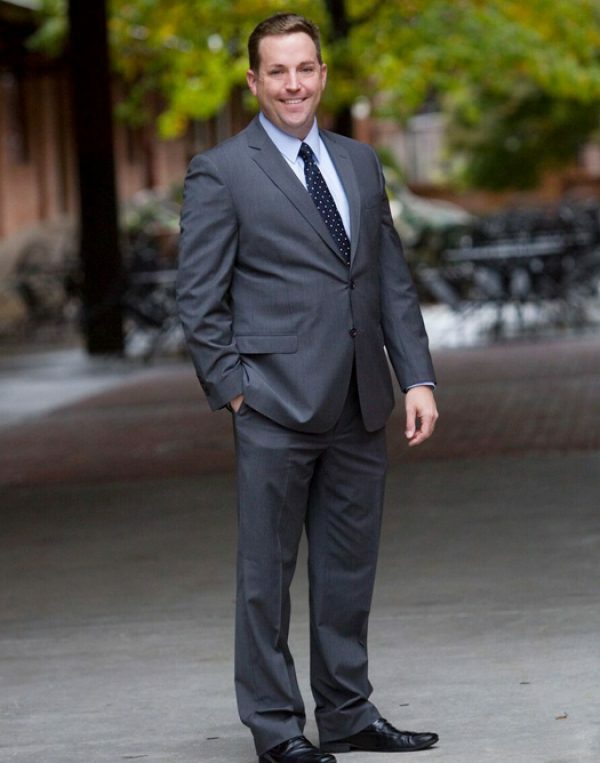 In Chapel Hill, Mike gained invaluable experience in the management of complex estate administration, developed relationships in the community through an established estate planning practice, and continued to assist small business clients with contracts, stock sales, conversions, intellectual property matters, and employment matters. At Kennon Craver, Mike provides legal advice and counsel to estate planning clients on gift, estate and generation-skipping taxes; on business succession; and on charitable giving. He also assists clients with wills, living trusts, and health care documents, including advice on how best to select executors and trustees (whether corporate or individual), as well as health care agents and attorneys-in-fact. Mike also provides assistance to clients grieving the loss of a loved one by helping them navigate the often confusing probate process and federal estate tax rules. He also guides small business entrepreneurs in the early stages of their endeavors, assisting with initial formations, tax elections, trademark searches and applications, operating agreements, and contracts.